This is a PHYSICAL PATTERN which will be mailed following confirmation of payment. The Prairie Path block is a vintage block with some versatility. I chose to make each block in a different fabric and used a variety of background fabrics throughout the quilt. This is a great "flower" block. Use the center block of the quilt in a consistent fabric such as green to make your blocks sing of spring! The center square is great for a signature, or pictures for a memory quilt. 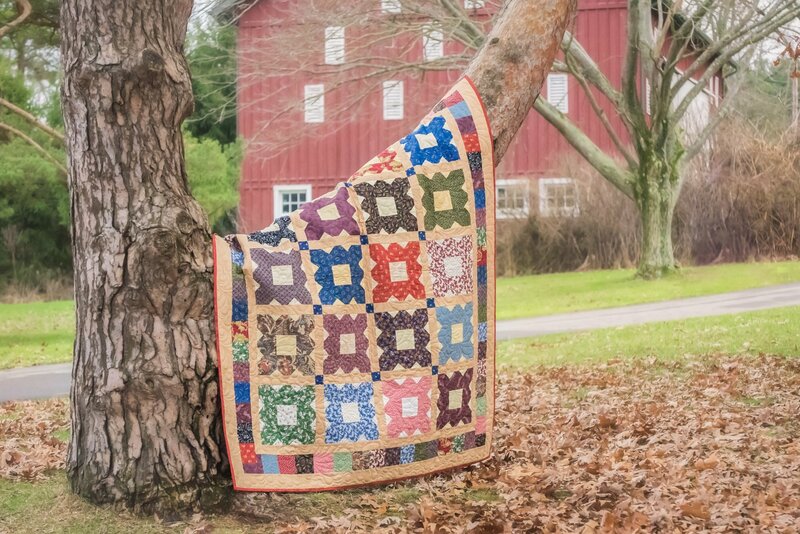 The scrappy border is great for showcasing the fabrics in the quilt. Basic quilt piecing skills are used. The pattern is written with clear, easy to understand instructions with picture diagrams to help you at each step in the process.